Summer’s here and it’s time to make waves. 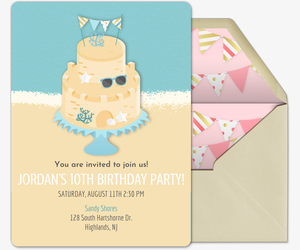 Hit your local sandy shores for a beach party with the help of free or Premium Evite invitations. 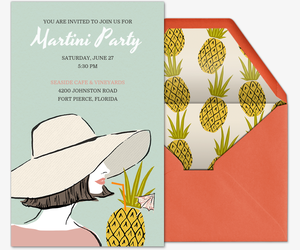 Whether you are hosting for the entire crew or just bonding with a few of your faves, our beach party invitation collection has the fitting design for your seaside social. Beach out of reach? 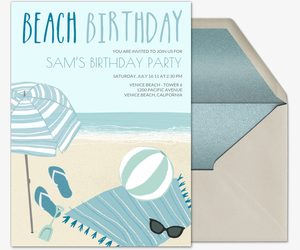 Use our invitation designs to host a beach-themed party, no matter where you are. Once you’ve selected your digital invitation, fill in the event time, place and host information. Then supply remaining details in your custom host message, like whether you plan to swim in the sea or just tan in the sand. Use our “What to Bring” tool to list guest necessities, like swimsuits, towels, drinks, sunblock and shades. 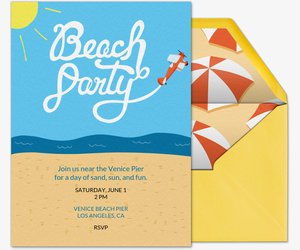 Reach the beach in no time with free Evite invitations. 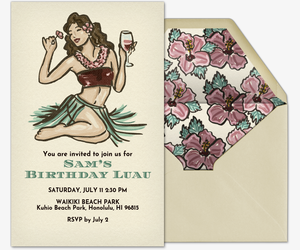 Our beach party designs feature classic beach activities, from surfing to sun-tanning, for all sorts of occasions. Hit the beach with your girls for a cocktail party or brunch using our free “Beach Cocktail Party” invitation or our “Brunch by the Sea” invitation. Or, plan a kids’ birthday using our various sandcastle and beach birthday designs -- you can even upload a photo of your kid onto one of our upload-your-own templates. Just fishing for some summer fun? Try our snorkeling, volleyball, barbecue or bonfire themed invitations. 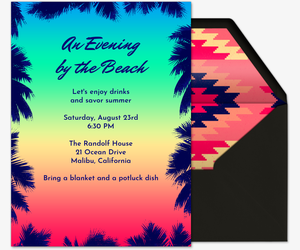 Better your beach bash with a Premium Evite invitation. Our ad-free Premium Evite invitations come with complementary envelopes, stamps, and other additional features, and are priced based on the size of your guest list. Everything is better on the beach, from ice cream socials to picnics to luaus. 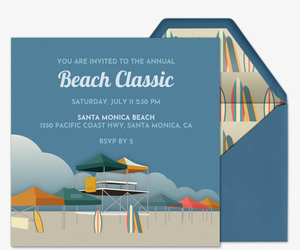 Choose from a number of summer-friendly designs, like our Premium invitations featuring a beach “sandcake” or a yellow submarine, then send the invitation to your best beach bums. 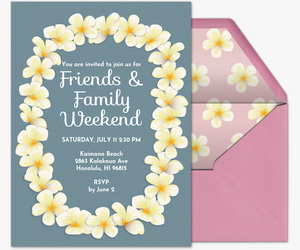 You can even make your own invitation from scratch using our design-your-own templates -- just upload your design and send! Premium invitations also come with custom digital “stamps” and optional inserts, like extra photos or text cards. Coast through hosting with the best beach and summer party ideas from the experts at ideas.evite.com. Check out snaps from real beach parties hosted by Evite users just like you, from casual picnics and kids’ birthdays to big-time weddings and vow renewals. Or, if you don’t live by the water, see how fellow hosts take the best of the beach indoors in their beach-themed real parties, featuring “fish food” and floaties. Get crafty with our beach party DIYs, like DIY beach ball paper lanterns, DIY disposable paint-dipped dinnerware or a DIY watermelon keg, and then get beach-ready with our must-know summer beauty hacks (spoiler: a little rose water goes a long way). And keep your beach party going all summer long with our outdoor party tips, like summer entertaining essentials, refreshing recipes and clever cocktail hacks.